Adolescence is a developmental period of accelerating physical, psychological, social! cultural, and cognitive development, often characterized by confronting and surmounting a myriad of challenges and establishing a sense of self-identity and autonomy. It is also, unfortunately, a period fraught with many threats to the health and well-being of adoles- cents and with substantial consequent impairment and disability. 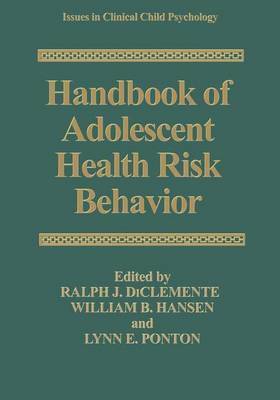 Many of the adverse health consequences experienced by adolescents are, to a large extent, the result of their risk behaviors. Many adolescents today, and perhaps an increasing number in the future, are at risk for death, disease, and other adverse health outcomes that are not primarily biomedical in origin. In general, there has been a marked change in the causes of morbidity and mortality among adolescents. Previously, infectious diseases accounted for a dispro- portionate share of adolescent morbidity and mortality. At present, however, the over- whelming toll of adolescent morbidity and mortality is the result of lifestyle practices.